The Sea Breeze Resort is located in Phan Thiet making it one of the best hotels to stay at while in town. The Sea Breeze Resort boasts a convenient location with modern amenities in every guestroom and superb service. All of the guestrooms are replete with air conditioning, bathrobes, desk, television, shower, mini bar. Services and amenities available for guests at this Phan Thiet accommodation consist of laundry service/dry cleaning, restaurant, room service, hotel/airport transfer, tours. Leisure and sports facilities available on The Sea Breeze Resort's property comprise outdoor pool, private beach, garden. 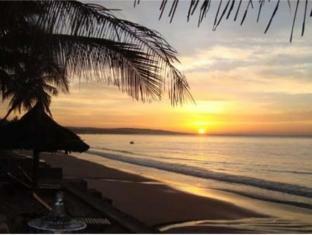 These top-class facilities are complemented to excellent services to meet the needs of visitors to Phan Thiet. To book a room easily at the Sea Breeze Resort, please submit your travel dates and proceed with our secure online reservation form.